WE SAY THANK YOU BECAUSE WE ARE GRATEFUL. Psalm 9:1 I will give thanks to you, Lord, with all my heart; I will tell of all your wonderful deeds. I will be glad and rejoice in you; I will sing the praises of your name, O Most High. There is something so powerful about the words, “Thank You.” It’s one of the first phrases we teach our children when they are toddlers. I can recall telling my children to “SAY THANK YOU” hundreds of times when they were younger, as we were leaving a store or restaurant, or when someone would give them a gift. And, over time, it became something they did automatically. Instilling good manners in our children is important. It sets them up well for life. It also sets them up for a healthy relationship with the Lord and with others. As a church, one of our most important values is, “We Say Thank You – Because We Are Grateful.” This may seem minor, but I believe it sets the tone for everything we do. When I comb through this book, considering the numbers, stories and journey the Lord has taken us on in our eighth year, they are the only words that seem adequate. THANK YOU, GOD! Let me encourage you, as I encouraged my children when they were young, to join with me in saying, “Thank You, God” as you read through this report. As you turn each page, thank Him for what He’s done – thank Him that each and every one of us gets to be a part of this amazing move of God, and thank Him for what’s to come – that we are just getting started! May His work continue in us, through us and all around us. And may we never take this for granted! Eight incredible years, and the best is yet to come! I was brought up a preacher’s kid, so naturally I was in the church all the time. I gave my life to Jesus when I was 16; however, as I reflect on that season of my life, I think I did it just because all of my other friends were doing it and I think I had a skewed idea of what “church” was. I was missing the love, faith and consistency of what a church should be. I was going to church just because it was something to do. I was going because I didn’t want someone to say, “Did you know that Lea didn’t come to church today?” It was draining and so eventually I just stopped going to church altogether. Time went on and on and years later, I found myself at Rock City Church where I rededicated my life fully to Jesus. Since that time, I have experienced God’s love in action. I am in a Small Group. I serve others. And I have experienced God’s healing and His presence. I am so thankful He led me here. Applying for a Rock City Internship was by far, the most important, impactful and life-changing decision I have ever made. In a season of my life where I was surrounded by uncertainty about where I was going in school, what my future held and what path I wanted to pursue, I found myself surrounded by people who were every bit of what I needed. Through this internship I found understanding of what my purpose is and peace in knowing that Jesus is all I will ever need. Itâ&#x20AC;&#x2122;s my second semester interning at Rock City and I have gained confidence in my identity in Christ, the path that I am pursuing and a better understanding of what it is like to be the hands and feet of Jesus in our city. These past two semesters have shaped me in a way that will have a permanent impact. I walked through the doors of Rock City with very little emotionally and spiritually. Now, I am overflowing in confidence and Iâ&#x20AC;&#x2122;m surrounded by people who constantly lift me up in my walk with Jesus. The Rock City Internship Experience is building the next generation of life-giving leaders. In Year 8, Rock City Hilliard opened its doors for the first time. This 50,000 sq. ft, stateof-the-art permanent facility is now the broadcast campus for Rock City and home to thousands of people every single week. With dynamic childrenâ&#x20AC;&#x2122;s and youth space and an incredible auditorium, we couldnâ&#x20AC;&#x2122;t be more excited or grateful that we have been able to put down permanent roots in this growing and vibrant part of our city. Hilliard and Columbus will never be the same! Kevin Zeallear I had been involved in youth groups as a kid. Actually encountered Jesus in a real way when I was 12 but when I reached high school, I stopped going. I wanted to party and be a teenager instead. I’d go with my mom when she’d ask on holidays, but she eventually stopped asking. My mom got sick with cancer in my early twenties and passed away. I was confused and mad at God for taking her. She was so at peace at the end of her life. She was refusing pain meds because she didn’t feel any pain and was eager to go home to heaven. I had no idea what that meant and it started to get me to consider God again. But I was so hurt – I never thought she’d die. I got married a few years after her death. My wife was struggling hard with anxiety and was seeking answers. She checked out Rock City one week when her Grandma was in town since we lived down the street from the Lennox Theater. She really enjoyed it and kept going back. I was skeptical. I thought I’d be judged. That church people would look at me differently because of the life I was living. I watched her as she got more and more involved. She got plugged into a Small Group. Started serving on a team. She kept asking me to join her, so I finally went. The first week I was at Rock City, God spoke to me through Pastor Chad. He said, “If you’re mad, beefing with God over losing a loved one … I don’t know who I’m talking to, but God put this on my heart to say … that you’ve come home.” It immediately broke me. That day God started healing my heart so I could finally be at peace with the loss of my mom. Since then, we’ve suffered the loss of a child through a miscarriage, and even though it was painful, it actually brought me closer to God. Where before it would have pushed me further away. I can’t imagine where my marriage would be at if we would’ve walked through that pain without God and without Rock City. Today our life is totally different. Our marriage is better, relationships are deeper. We’re making lifelong friends. I’m leading a Small Group. My wife’s anxiety is gone. Where once the path was not clear for our future – it is now clear. Centered around God. It’s all different and for the better. In April of our eighth year, we planted the first Rock City Church Campus inside the walls of a local prison. Focused on providing a life-giving worship experience and church community to those behind bars, our first prison campus has provided hope and healing to hundreds of inmates. Rock City also provides an instant family to those who attend while incarcerated when he or she gets out of prison. Matthew 25:36 â&#x20AC;&#x153;I was naked, and you gave me clothing. I was sick, and you cared for me. I was in prison, and you visited me.â&#x20AC;? Rock City Church has been recognized as one of the Fastest Growing Churches in America for the sixth consecutive year by Outreach Magazine. During Year 8, Rock City came together to make a big impact both locally and nationally. From feeding every teacher serving in the Columbus City School District to joining with our partners at NBC4 to mobilize the city and help the victims of Hurricanes Florence and Michael, Rock Cityâ&#x20AC;&#x2122;s volunteer army showed up, gave big and made a tremendous difference. GLOBAL BEYOND OUR WALLS Because of the faithfulness and generosity of the people of Rock City through the 2017 Year-End Legacy Offering, our ability to make a global impact expanded greatly in our eighth year. From putting feet on the ground in six countries through missions trips, to funding and equipping 39 pastors and sponsoring 332 children throughout the world, Rock City’s commitment to reach those who have never heard the name of Jesus remains steadfast. We can’t stop, and won’t stop, until every lost person is found and until every hurting person is healed. The Association of Related Churches (ARC) works with church planters and leaders to provide support, guidance and resources to launch and grow life-giving churches. As one of the original supporters of Rock City Church, we are committed to “paying it forward” by helping ARC fund new church plants around the world. PARTNERSHIPS As our church has grown, so has our ability to make an impact in our city and around the world. Below are some of the organizations we were blessed to partner with and serve during our eighth year. For every person who walks through our doors - every service, every week - we give one dollar to meet a local or global need. For every first-time guest who walks through our doors, Rock City donates $5 to the Mid-Ohio Foodbank. They in turn are able, through their partners, to turn each $5 donation into $50 worth of groceries, helping make Columbus hunger-free and healthy. The Columbus Dream Center is the local outreach arm of Rock City Church. Powered by thousands of volunteers, the Dream Center helps meet our city’s most basic needs. ROCK CITY CHURCH OPERATES WITH AN OPEN BOOK POLICY OF FINANCIAL INTEGRITY AND WORKS WITH HARN & ASSOCIATES, CAPIN CROUSE, THE CHURCH LAWYERS, AND THE ROCK CITY BOARD OF DIRECTORS TO ENSURE THAT ALL FUNDS ARE BEING USED FOR MAXIMUM EFFICIENCY AND WITH THE UTMOST INTEGRITY. THE BOARD OF DIRECTORS, WHICH INCLUDES PASTORS OF RESPECTED CONGREGATIONS, INCLUDING CEDAR CREEK CHURCH IN PERRYSBURG, OH, MEETS ANNUALLY TO DISCUSS AND APPROVE THE ANNUAL BUDGET. THE FINANCIALS PROVIDED IN THIS REPORT ARE BASED ON THE PREVIOUS 12 MONTHS OF DATA (MAR 1 – FEB 28) IN ALIGNMENT WITH OUR ANNUAL BIRTHDAY. 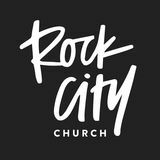 THE FISCAL YEAR OF ROCK CITY CHURCH IS AUG 1 – JUL 31. OPERATIONAL BUDGET DOES NOT INCLUDE RUN CAMPAIGN REVENUE WHICH IS USED FOR RUN CAMPAIGN INITIATIVES, INCLUDING CAMPUS LAUNCH AND EXPANSION. RUN RUN is the movement of Rock City Church toward establishing two permanent campuses and a Dream Center in Columbus - a three year, $10 million campaign that began in 2015.